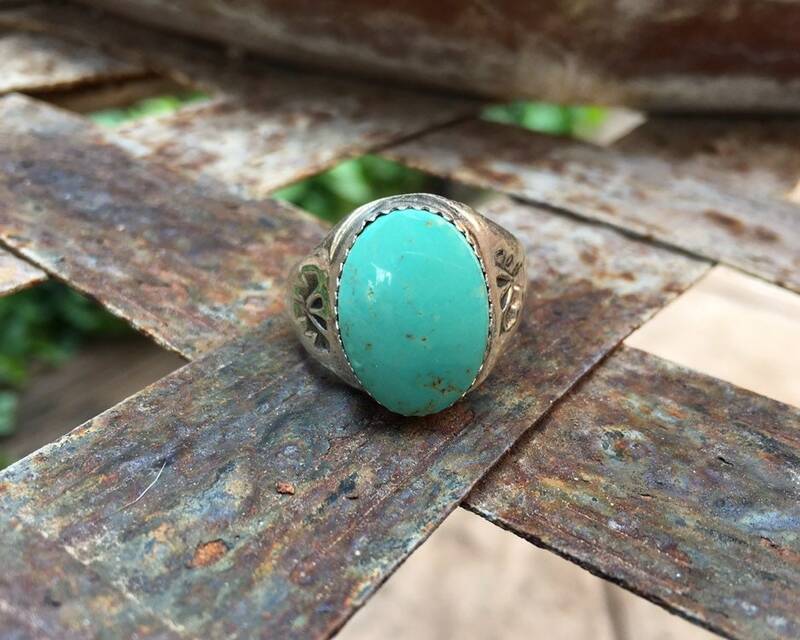 Here we have a simple ring featuring a piece of light blue-green turquoise in an oval bezel atop a stamped band--a very traditional style of Men's ring. Has the artist's icon or initials which is illegible. 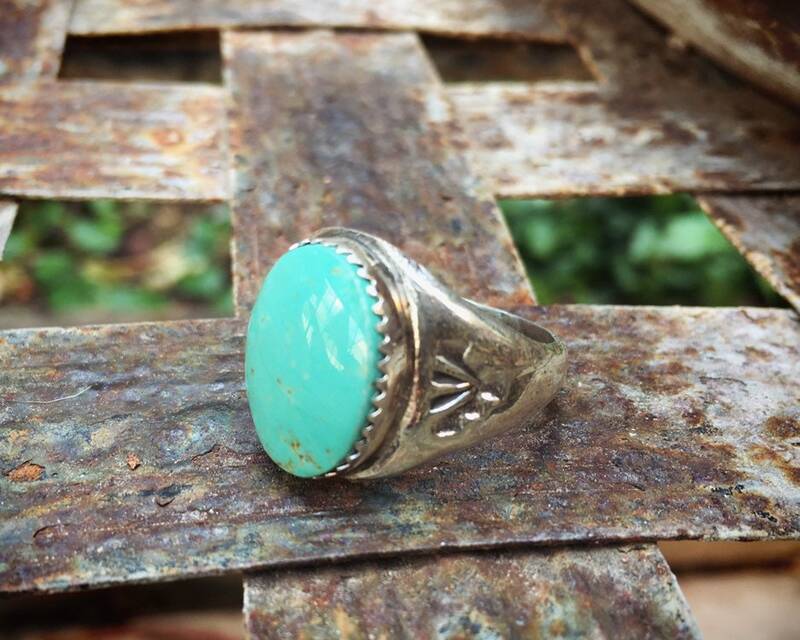 The turquoise is highly polished with bits of brown matrix in it. 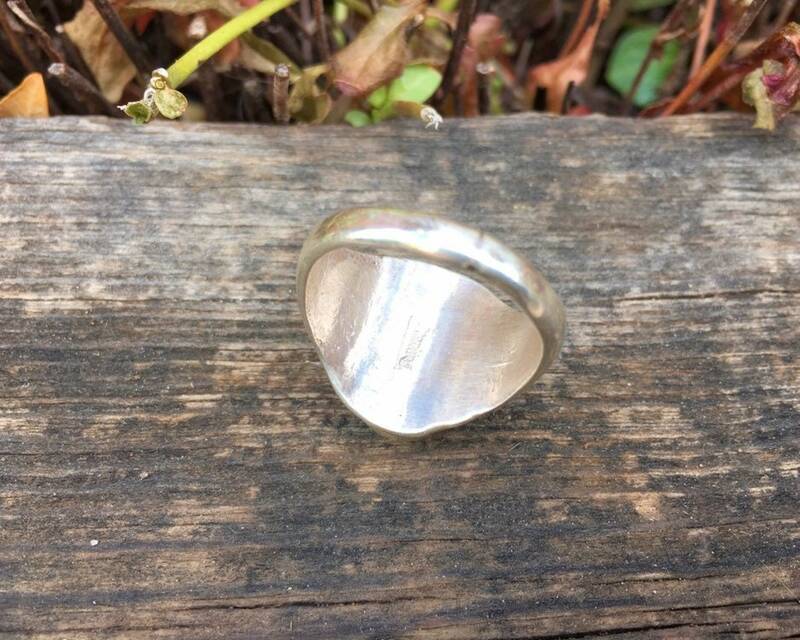 The ring is a size 11.5. Turquoise cab is 5/8" long by 1/2" wide. 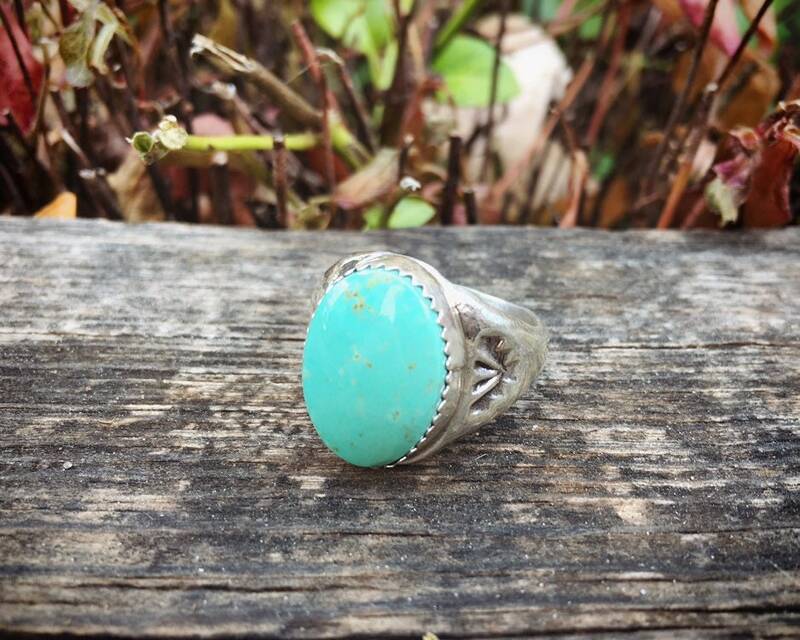 The turquoise has no cracks, and is well-seated in the bezel. 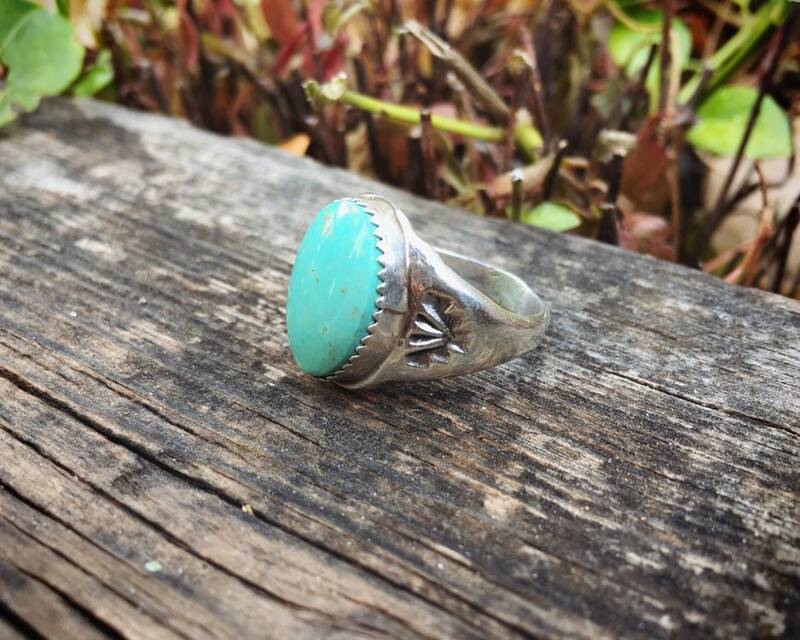 Can be resized for $25 additional; just let us know and we can create a listing for the resizing. 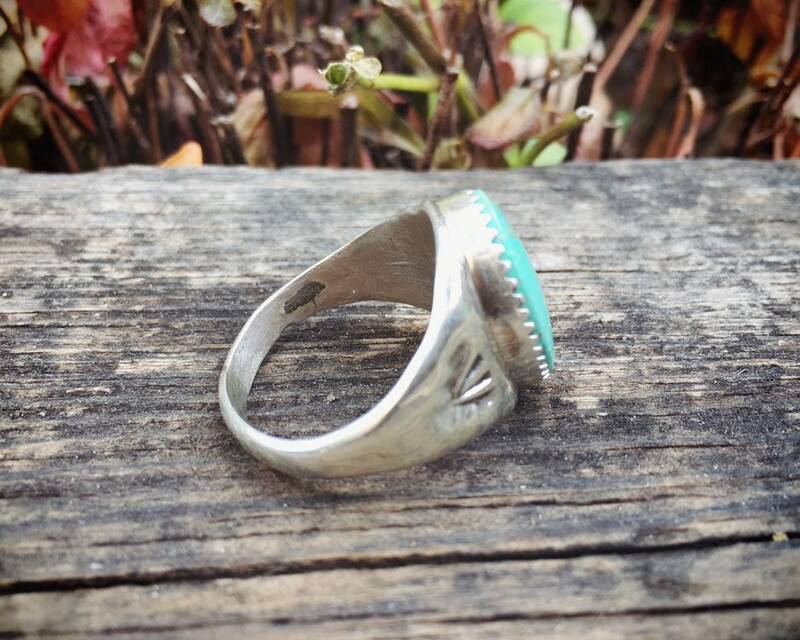 Love this ring - Quality. Fit. Style. Definitely recommend this seller.